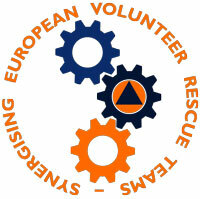 The EFRU is today celebrating its 12 years of local service since it’s conception back in 2006. 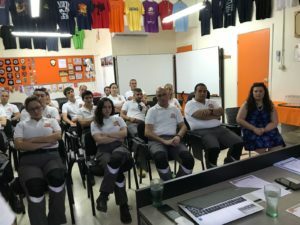 A team which kicked off from 5 dedicated founder members is now is a 40-strong organisation which brings members together in training to assist the local authorities in emergency situations such as floodings, Urban Search and Rescue (USAR), Fire Fighting, Rope Rescue, K-9 and High Angle Rescue. 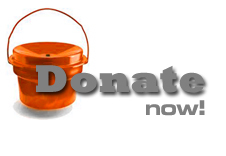 As our motto states, our mission is precisely that of helping others, even if that means making sacrifices of our own and taking our own share of calculated risks. 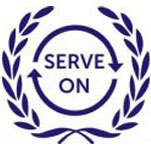 A mission which all the members fulfil willingly and entirely on a voluntary basis. 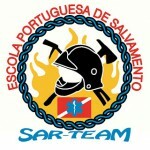 It is opportune to mention some recent feats which the EFRU is extremely proud of. 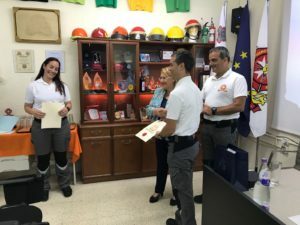 First and foremost, it is worth remembering the conclusion of a monumental project – Synergizing European Volunteer Rescue Teams – which was funded by the Erasmus+ Programme and which the EFRU had been propelling forward for two years. 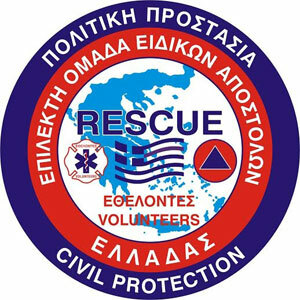 Through this funding, the EFRU was able to publish a basic rescue manual entitled Rescue Techniques for Emergency Response. 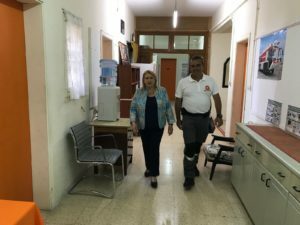 Also in 2017, our First Aid capabilities were given a significant boost by means of a new ambulance which was procured thanks to the co-funding achieved via the Good Causes Fund and EFRU’s very own Cycling Tour initiatives. 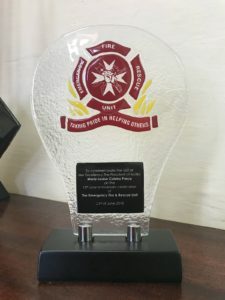 More achievements continued to mark our calendar throughout the past year. 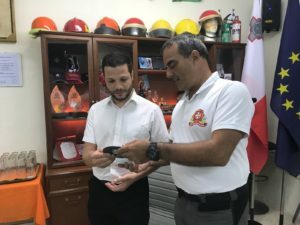 Through the MCCFF funding stream, the Unit procured a set of two field tents which now play a crucial role in the team’s preparedness factor, particularly in disaster scenarios and large-scale emergency response. Last but not least, we are all extremely proud of our latest addition to the EFRU fleet: the Mercedes Atego 1325 Fire Engine which, after a period of temporary loan, was garaged in its new home. It now continues to serve with us. 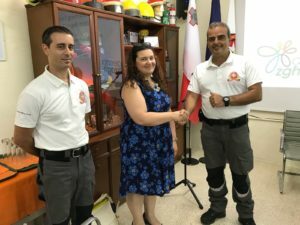 This was the fruit of a long-term collaboration with our Gozitan brothers and sisters of the Emergency Response Rescue Corps on a number of projects. This brings us to the essence of this small collection of thoughts. 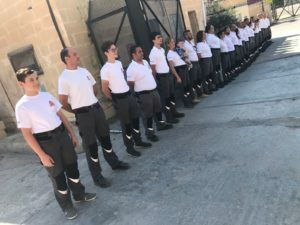 As the saying goes in Maltese, ‘kull qalb trid oħra’, and throughout its achievements, the EFRU hardly ever stands alone. 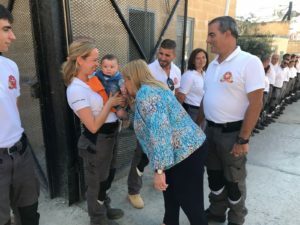 And yet again on Saturday 23 June, the team stood alongside Her Excellency Marie-Louise Coleiro Preca, President of Malta to celebrate the 12th year of EFRU’s cause. The president kindly honoured us with Her presence in our humble Headquarters and expressed her appreciation to the work we do. A proud moment to all, unequivocally. 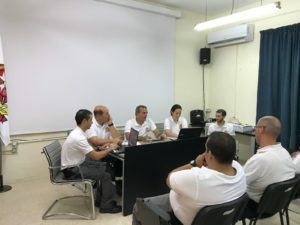 Where we stood, however, one particular member shone brighter and prouder than the rest of us – Josef, our seasoned volunteer and committee member, who this month celebrates his tenth anniversary as member of the EFRU! 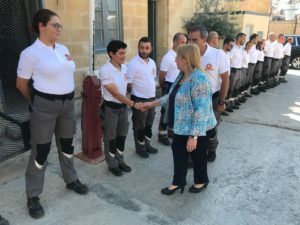 He also had the honour to be congratulated by Her Excellency the President of Malta and of course be greeted with a huge pat on the back by fellow members of the EFRU. 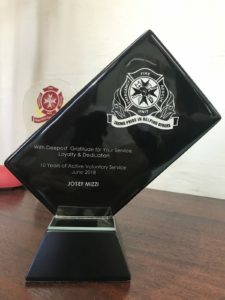 No organisation could be more grateful for the selfless commitment shown by one of its longest-serving, enthusiastic members. 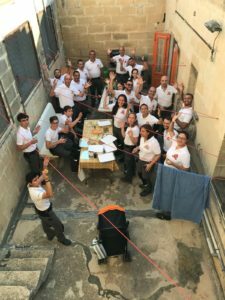 And so last Saturday was a big day for the EFRU and one which weaved another thread in the intricate pattern that is our history.